This past Sunday, CBS's "60 Minutes" took on the pharmaceutical industry in a tough and well researched investigative report ("Under the Influence") on the strong-arm lobbying tactics of drug companies, who bully elected officials into passing legislation that guarantees drug companies higher profits. This report is an excellent example of what responsible journalists can do to inform the American people about how they are being exploited by big corporations and former "public servants" turned drug company lobbyists, who come back to Congress to twist the arms of their old colleagues. It was painful to watch this shocking report - congratulations to CBS for having the courage to produce and air it - and it is worth reading the transcript at www.cbsnews.com and letting CBS know you care about seeing more investigative journalism like this. The pharmaceutical industry is twisting arms at the state level, too, to secure guaranteed windfall profits for pharmaceutical products. The most recent example is the aggressive lobbying campaign by Merck to get its new HPV vaccine - GARDASIL - mandated in every state. They failed to do that this year because there was a big parent backlash based on product safety and parental rights concerns and state legislators heard the public's message loud and clear: no HPV vaccine mandates for 11 year old girls. However, the drug company lobbyists are working hard to get GARDASIL mandated in California after all. To guarantee that the people never again have the opportunity to stop drug companies like Merck from guaranteeing that their new vaccines will be mandated, Pharma lobbyists have persuaded California Rep. Ed Hernandez and others to introduce a law (AB 16) that would cut the voters and the state legislature out of having any say whatsoever in future new vaccine mandates. Cleverly, what vaccine manufacturers want to do is get a law passed in every state that leaves only one person - the State Health Officer - with the power to mandate new vaccines whenever the CDC recommends a new vaccine for universal use. It is much cheaper to strong arm one federal vaccine policymaking committee - the CDC's Advisory Committee on Immunization Practices - and one state official in a state public health bureaucracy than to have to lobby hundreds of politicians in 50 state legislatures to convince them to mandate a new vaccine. Streamlining the U.S. vaccine mandating process would cut Pharma's lobbying costs so windfall profits from vaccine sales in the U.S. can be even larger - a projected $6.9B in 2007 - the highest for any country in the world. The power of the people would be totally removed from the vaccine mandating process and drug company lobbyists could concentrate all their efforts on strong-arming politicians in Congress to create more prescription drug profit-making schemes like the one CBS "60 Minutes" just highlighted. 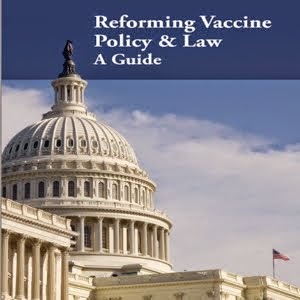 The National Vaccine Information Center has been calling for reform of the mass vaccination system for 25 years. There have been too many instances in the past where former government health agency employees, who develop, regulate or promote mass use of multiple vaccines, have left their government jobs to work for vaccine manufacturers. The first step is to prohibit elected officials or staff or government health agency employees, who regulate or make recommendations for use of products sold by the pharmaceutical industry, from being employed by that industry for at least ten years following their government employment. Government employees and elected officials responsible for ensuring the public health and safety should understand that when they join government, they are choosing to become public servants and that the corporate world is not accessible to them for at least a decade. This would prevent the revolving door that contributes to the kind of shameless exploitation of the people which CBS illustrated so well in their July 29 report "Under the Influence." "Outbreaks of mumps in the Midwest -- where more than 1,000 cases were reported by April 2006 among largely vaccinated teens and young adults -- fueled concerns about the long-term effectiveness of the immunization that was supposed to forestall such a scenario. "The only people who don't have to worry about the mumps in the Midwest outbreak, which is occurring primarily among college students who have two doses of MMR (measles-mumps-rubella) vaccine, are older Americans who recovered from mumps as children," Barbara Loe Fisher, co-founder and president of the country's largest and oldest vaccine safety and consumer watchdog organization, the National Vaccine Information Center, wrote in her newsletter. "Vaccines provide temporary, qualitatively inferior immunity compared to the qualitatively superior immunity achieved by recovering from the disease, which in most cases is permanent for once routine childhood diseases such as mumps. Time and again, when man attempts to alter the natural order, the change which occurs is damaging to the environment and the biological integrity of humans over the long term. Mandatory, mass vaccination policies have done far more than suppress or "eradicate" infectious diseases. Like the indiscriminate widespread use of multiple antibiotics, which has led to more virulent, antibiotic resistant bacteria, the indiscriminate widespread use of vaccines is placing pressure on viruses and bacteria to evolve and evade vaccines. CDC officials direct pediatricians to give all infants 4 doses of pneumococcal vaccine in the first two years of life. Wyeth is the sole source of that vaccine (Prevnar) and heavily promoted it as an ear infection vaccine prior to its licensure in 2000, even though clinical studies demonstrated only a 6 percent efficacy for preventing ear infections. The vaccine contains seven of the most antibiotic resistant pneumococcal strains (there are more than 80 strains of the organism) and now, predictably, other strains of bacteria are replacing those contained in Prevnar vaccine and causing disease. Some are also predicting this "replacement" effect will occur with the newly licensed HPV vaccine (Merck's GARDASIL), which the CDC has recommended be used by all 11 year old girls. GARDASIL contains two of the 15 strains of human papillamovirus that are associated with cervical cancer. However, FDA officials warned prior to the vaccine's licensure and CDC officials published an article in JAMA after licensure that widepsread use of GARDASIL could cause the two high risk HPV strains in the vaccine to be eventually replaced by other high risk strains. When government officials and drug company lobbyists persuade politicians to pass laws mandating use of new vaccines, they often do not stop to consider the potential negative effects. The "cure" may be worse than the disease when public health officials and vaccine makers urge the public to use more and more vaccines and politicians are quick to legislate vaccine use without all of the scientific information required to make an intelligent decision on behalf of the people. The study of wellness and finding more natural ways to help the body enhance immune function to both resist and recover from infectious disease so good health can be maintained over the long term might be a better way to go in the future, rather than placing narrow-minded emphasis on suppression and "eradication" of infectious disease with the mass use of multiple vaccines. If there is one thing that Mother Nature has demonstrated over the last century, it is that she is not amused when doctors and drug companies think they know how to do it better. "United States represents the largest market for human vaccines with sales estimated at US$6.9 billion for 2007. Within Europe, France, Germany, and United Kingdom together account for more than 3/4th of the market. In Japan, Pediatric prophylactic vaccines sales are likely to grow at a compounded annual rate of 9.9% over the period 2005-2010. Human vaccines market in Asia-Pacific is projected to reach US$1.3 billion by the year 2010. Most multinational companies engaged in vaccine production are based in the US and Europe.....Pediatric combination vaccines, another new entrant in the vaccines market are forecast to fuel growth in the coming years. The market is expected to witness new levels with adoption of novel vaccine delivery mechanisms such as edible, oral, and mucosal. Also critical to market success is the need for using improved adjuvants in vaccines for optimal immunogenicity.....Dominant players in the market comprise leading pharmaceutical companies including Sanofi-Aventis, GlaxoSmithKline, Wyeth, and Merck. These companies together command about 80% share of the global human vaccines market." - Global Industry Analysts, Inc. If anyone doubts why drug companies making and selling vaccines are lobbying so hard to convince California legislators to pass a precedent-setting law that would automatically mandate every new vaccine the CDC recommends for "universal use" by all children, the recent market analysis by Global Industry Analysts gives the answer: forcing vaccine use is a multi-billion dollar business. The U.S. is the largest market for human vaccines: vaccine manufacturers will rake in $6.9B in 2007. Much of the profit is guaranteed because the lobbying alliance between drug companies, public health officials and pediatricians that has formed during the past quarter century has worked hard to convince politicians to mandate the use of more vaccines by US citizens than are used by any other country in the world. The freedom to exercise informed consent to vaccination and make informed voluntary vaccine choices in the US is being eroded by clueless legislators listening to profit-seeking drug companies and zealous government health officials in search of a 100 percent vaccination rate. No question that forced use of multiple vaccines makes for good profits. But where is the science that demonstrates it leads to good health? The worldwide human vaccines market is projected to reach $19.2B and it is no surprise that "therapeutic" vaccines are projected to be the fastest growing segment with $3.3B projected sales by 2010 in the U.S. alone. The therapeutic vaccine market includes people suffering with chronic brain and immune system dysfunction, the very kinds of chronic diseases and disorders that can be caused by prophylactic vaccine use. In other words, those children who are harmed by forced prophylactic vaccine use will become consumers of therapeutic vaccines. The price we will pay for having placed blind trust in physicians in industry and government, who are promoting mass, mandatory use of multiple vaccines, will be far higher in the future. "A two-year-old girl of this village, Saniya, suffers from Type I polio despite being administered more than seven doses of the new polio monovalent vaccine (MOPVI), which is made specially for the Type I poliovirus. The vaccine was introduced in mid-2005 and tom-tommed as the final step in the eradication of polio from India...... There are 15 cases of Type I polio spread across Uttar Pradesh (There are also 41 cases of Type II polio which takes the total count to 56). While there has been no reported Type I case in the endemic Moradabad, the new cases have been reported from eastern and central Uttar Pradesh; so instead of just a region, cases of wild polio are being reported from all over Uttar Pradesh now. "Saniya's mother, Noorjahen, is furious. "She is having polio drops ever since she was four days old. She has had over a dozen doses of the polio drops. We came to know about her polio when she got a high fever. She could barely manage to stand, could not walk at all, after the fever. We took her to the local hospital where they did a stool test. We were later told that she has polio," she recounts. "There must be some thing wrong with the polio drops if even after so many doses my child has contracted polio. The government should test medicines before they are used. Pata nahin bachchoo ko kya pila rahin hain!" (Don't know what they are making my child drink), she adds. The wild-eyed vaccinologists are at it again. This time, World Health Organization doctors are hunting down children in India to pour a high potency live polio vaccine down their throats without telling parents it is an experimental vaccine. Using the unscientific rationale that "more is better" and with a callous disregard for human life and human rights, WHO officials replaced the tri-valent oral polio vaccine with an untested high potency monovalent Type 1 oral poliovirus vaccine without telling the public what it was doing. Now there is more Type 1 (and Type 2) polio in India plus an unexplained higher incidence of non- polio Acute Flaccid Paralysis following widespread use of the experimental polio vaccine. Trotting out the shabby "coincidence" argument, the WHO's predictable response is "This is due to better reporting and surveillance. We know by our 50 years of experience that the polio vaccines are safe." We have seen vaccinologists exercise unchecked power and experiment on children without the informed consent of their parents before and we will see it again. Exploitation is easy when people are carefully taught to trust and obey the orders of anyone wearing a white coat who comes to vaccinate. The distraught mother of a little girl crippled by Type 1 polio after swallowing many doses of both the tri-valent and experimental mono-valent live polio vaccines was quoted by India's Tehelka (The People's Paper): "She is having polio drops ever since she was four days old. She has had over a dozen doses of the polio drops....There must be some thing wrong with the polio drops if even after so many doses my child has contracted polio. The government should test medicines before they are used. Pata nahin bachchoo ko kya pila rahin hain!" (Don't know what they are making my child drink), she adds." One brave and clear thinking pediatrician in New Delhi, Jacob Puliyel, has written a letter to the editor of The Lancet, which published an article in April 2007 about the experimental high potency polio vaccine campaign in India. "We are shocked and dismayed that Lancet should have published the paper on the protective efficacy of monovalent oral Type 1 poliovirus....having overlooked the serious ethical issues involved...... What was introduced, according to this article, was a new vaccine that was five times more potent than previous vaccines, presumably also with the increased likelihood of adverse effects. No informed consent was taken, nor was the public told that the vaccine was experimental. " He protested experimentation on children by Indian health authorities, who licensed the experimental vaccine, and WHO authorities, who are running the mass vaccination program. "The oversight body that introduced this experimental vaccine should also have monitored adverse effects," he wrote to The Lancet. "Data from Uttar Pradesh show an increase in the incidence of non-polio Acute Flaccid Paralysis since the introduction of the monovalent vaccine." Now that Dr. Puliyel, head of pediatrics at a New Delhi hospital, has spoken up about scientific and ethical lapses connected with the experimental polio vaccine program - will he be kicked out of his hospital and have his medical license revoked? Maybe not. But it is very likely that government health authorities and pediatrician colleagues will make his life miserable. This kind of vaccine experimentation without informed consent does not happen only in India or Africa or South America among disadvantaged populations. This kind of exploitation also happens in America. In what turned out to be a deadly experiment conducted during the mid-1980's using a high potency Edmonston Zagreb measles vaccine, vaccinologists first injected the experimental measles vaccine into four month old babies in Africa, the Middle East, Mexico and Haiti at 10 to 500 times the usual dose levels to try to overcome natural maternal antibodies and replace them with vaccine induced antibodies. Even though researchers in Africa knew half way through the experiment that a higher than expected number of girl babies were dying six months to three years following vaccination, the CDC moved the high potency measles vaccine trials to Los Angeles in 1990. With the help of Kaiser Permanente, more than 1500 six month old primarily black and Hispanic babies in inner city LA were injected with the high potency EZ measles vaccine between June 1990 and October 1991. One child in the vaccine trial died from a bacterial infection that researchers insisted was unrelated to vaccination. In June 1996, then CDC Director David Satcher admitted that an NIH investigation of the LA trial found that informed consent regulations had been violated: the LA parents were never told that their babies would be injected with an experimental vaccine that had never been licensed by the FDA for use in the U.S. Shortly after, researchers reported that infants with the highest antibody responses to high potency measles vaccine have the most profound immune suppression. How high are the antibody responses of children in India who are repeatedly vaccinated for polio, especially after being given high potency polio vaccine? And how many are suffering immune suppression, which is followed by wild-type or vaccine strain polio or unexplained Acute Flaccid Paralysis? The militaristic approach taken by vaccinologists employed by governments and the World Health Organization unfortunately includes conducting vaccine experiments without the informed consent of participants. Their assumption that proof of efficacy is all that matters because injuries and deaths following vaccination are always a "coincidence" is both unscientific and dangerous. The human right to informed consent to all medical interventions which carry a risk of injury or death, including vaccination, should be made law in every country and there should be criminal and economic sanctions for all those who violate it during the course of clinical research or the practice of medicine. The execution of a former head of the Chinese Food and Drug Administration, who began his career in government as a consumer advocate determined to strongly regulate the pharmaceutical industry and ensure the safety of drugs and vaccines, may seem extraordinarily harsh. However, his choice to betray the people and take money from an industry he was responsible for regulating in exchange for allowing dangerous drugs, vaccines and food to be marketed, caused the deaths and compromised the health of thousands of innocent people in China and other countries. What is the appropriate societal sanction for powerful leaders in government whose irresponsible, immoral actions kill and injure members of a trusting public? An equally important question: what is the appropriate societal sanction for wealthy drug company officials, who participate in corrupting government employees responsible for regulating pharmaceutical and other consumable products that end up injuring and killing people? Sanctions for drug company lobbyists, who give financial incentives to doctors and politicians to push widespread use of pharmaceutical products that carry serious health risks - or even legally require their use - is another outstanding issue. The corruption of a once honest man by corporate executives exploiting people for profit is a human tragedy. The people doing the corrupting should not be left off the hook. Equally important is the need for politicians in every country to refrain from putting too much power to regulate and recommend pharmaceutical product use in the hands of one unelected bureaucrat working for a government health agency. Mechanisms for strong public participation and oversight should be an integral part of any public health program that involves government or physician recommended use of pharmaceutical products. Absolute power corrupts absolutely. California is on its way to becoming the first state to mandate Merck's GARDASIL vaccine for all 11 year old girls. In a July 5 NVIC E-News, we reported that the California legislators, who were sponsors of the failed HPV vaccine mandate earlier this year, were working with drug companies and doctors to make sure the public is never able to stop a new vaccine mandate again. They are sponsoring three bills that would re- write California public health law and make sure every vaccine marketed by Merck and other drug companies that is recommended by federal health officials now and in the future would be automatically mandated despite any public opposition. The original versions of the bills have been amended in the last few days to eliminate the five year waiting period after a new vaccine has been licensed by the FDA and make ALL existing and new vaccines, including Merck's GARDASIL, recommended by the CDC automatically mandated by July 1, 2008. Merck has been very busy in the state of California. With heavy lobbying by drug company lobbyists making and selling vaccines, together with medical organization lobbyists whose physician members profit from administering vaccines in their offices, Representative Ed Hernandez, an optometrist (D-West Covina) and Senators Mark Ridley-Thomas (D-26th District) and Leland Yee, Ph.D., a psychologist (D-San Franciso/San Mateo) are the three politicians most responsible for helping drug companies and doctors ram three pieces of legislation (AB 16, SB 533 and SB 676) through the California legislature. Tomorrow, July 11, members of the Senate Health Committee are scheduled to vote on AB 16, including Senators Ridley-Thomas and Leland Yee. If AB16 or companion bills SB 533 and SB 676 are enacted, all 11 year old girls in California will be mandated to use GARDASIL beginning in July 2008 and all children will be required to use every other vaccine the CDC has ever endorsed. Following is a list of members and email links of the Senate Health Committee members, whose vote tomorrow could hand over power to mandate new vaccines to one unelected Public Health Officer employed by the state, who takes direction from unelected federal public health employees in Atlanta. br> Click on their names to register YOUR vote. The CDC currently recommends children get 49 doses of 14 vaccines by age six. This is double the numbers of vaccines the government "recommended" 25 years ago. If AB 16 or one of the two other companion bills become law, the numbers of vaccines California children are required to get could double or triple within the next decade and there will be nothing parents can do about it. The CDC acknowledges that 1 in 150 children in the U.S. is autistic. British autism researchers this week confirmed that the rate of autism in Great Britain has risen to 1 in 58 children. Assuming that the child populations studied in the U.S. and Brtiain are comparable, it suggests that autism is either three times more prevalent in Britain than in the U.S. or that the prevalence of autism among American children is grossly underestimated. Although much of the focus about vaccine risks in the U.S. during the past six years has centered on the mercury preservative, thimerosal, in Britain the vaccine safety debate has focused on children who have regressed after receiving MMR vaccine. With so little basic science research into the biological mechanisms of vaccine injury and death or genetic co- factors, there are large gaps in scientific knowledge about the way vaccines act singly or in combination in the human body to cause brain and immune system dysfunction in young children. It is still too early to conclude that one vaccine ingredient or one combination of live virus vaccines are solely responsible for autism increases among children. With so many unanswered scientific questions about why and how vaccines cause harm to certain children, all scientific inquiries should be welcomed and no hypothesis should be dismissed before it is thoroughly explored. 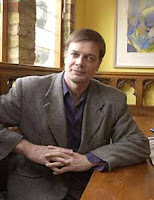 Andrew Wakefield is essentially being tried by his peers in Britain for daring to explore the politically incorrect hypothesis that the MMR vaccine may be associated with the development of regressive autism in some children. His refusal and the refusal of two of his colleagues to recant their scientific findings in order to save their license to practice medicine should be cherished by all who believe in freedom of thought and speech. The spectacle that this British Medical Inquisition is creating for the world to see will have repercussions far beyond the three martyrs it will make. The people are not stupid and they will not soon forget that medical doctors inside and outside of the British government so feared one man's scientific discovery about vaccination that they felt they had no choice but to destroy him and anyone who stands with him. Whatever the avenging vaccinologists in Great Britain do to Andrew Wakefield and his brave colleagues will not wipe away the sickening reality that one of the most highly vaccinated child populations in the world is also among the most disabled, with 1 British child in 58 suffering with autism or autism spectrum disorder. This past week, the results of two studies were released which supports several decades of mounting evidence that an epidemic of chronic brain and immune system disorders has developed among American children in the past quarter century and that the use of multiple doses of multiple vaccines given to children early in life may play a major role. These two new studies, one conducted by researchers at Harvard University and one conducted by Generation Rescue, reinforce findings of an asthma study conducted by researchers at University of Illinois, Chicago published in 2005. All three studies validate the repeated warnings since the early 1990's by parents of vaccine injured children that over-vaccination of infants and toddlers may be contributing to increases in learning disabilities, ADD/ADHD, asthma, diabetes and autism among older children. While the Harvard study confirmed the existence of a chronic disease and disability epidemic among American children, including a prevalence of six percent of all children with ADHD and nine percent with asthma, it was the $200,000 private funding of a west coast telephone survey by Generation Rescue founder JB Handley which revealed a much higher risk of neurological disorders in vaccinated versus unvaccinated children that deserves special attention and immediate follow-up. The survey found that "Among more than 9,000 boys age 4-17, vaccinated boys were 2.5 times (155 percent) more likely to have neurological disorders, 224 percent more likely to have attention deficit hyperactivity disorder, and 61 percent more likely to have autism." This evidence reinforces information published in the Journal of Allergy and Clinical Immunology in 2005 that there are marked differences between the incidence of self-reported asthma in vaccinated and unvaccinated children by parents, with a finding that parents of unvaccinated children were "11 times less likely to report asthma" and "10 times less likely to report hay fever" among children with no family history of either condition. NVIC staff worked for four years with researchers at the University of Illinois to design and implement the study entitled "The Relationship between Vaccine Refusal and Self-Report of Atopic Disease in Children." The study methodology, which included the formal Institutional Review Board (IRB) process and peer review, involved mailing of surveys to 2,964 randomly selected households of members of NVIC with children aged 3 to 18 years, a database which includes families with highly vaccinated, partially vaccinated and totally unvaccinated children. "There is a compelling argument to be made that the dramatic increase in chronic brain and immune dysfunction in children, especially the rising number of reports of regression in previously healthy children, is due to an early exposure that is being experienced by all children but which is harming an expanding minority of them.... Many biological responses are at least partially under genetic control. If, for example, adverse responses to vaccination are tied to the genes responsible for predisposition to autoimmunity and immune-mediated neurological dysfunction, then it is possible that the addition of more doses of vaccines to the routine schedule in the past two decades has affected more and more children with that genetic predisposition.....Therefore, when all children only were exposed to DPT and polio vaccine in the early 1960's, a tiny fraction of the genetically susceptible responded adversely. But with the addition of measles, mumps and rubella to the routine schedule in 1979, and then HIB, hepatitis B and chicken pox in the late 1980's and 1990's, far more of the genetically susceptible have been brought into the adverse responder group." Scientifically confirming that the repeated atypical manipulation of the immune system with multiple vaccines in early childhood is contributing to chronic disease and disability increases would require additional methodologically sound epidemiological studies as well as basic science research into the different biological mechanisms involved in vaccine induced brain and immune system dysfunction. Future studies comparing groups of vaccinated to groups of unvaccinated children and adults should include not only evaluation of all morbidity and mortality outcomes but also identify genetic variability and measure pathological changes at the cellular and molecular level in the vaccinated and unvaccinated, including changes in immune function (blood tests), brain function (EEG, MRI) and chromosomal integrity over a 10 to 20 year period. In 1982, parents of DPT vaccine injured children began urging federal health agencies, vaccine manufacturers and doctors to take seriously the reports of health deterioration after vaccination. We begged them to responsibly investigate the persistent reports by parents that healthy children were regressing physically, mentally and emotionally and being left with a variety of brain and immune system problems. Those warnings, which became more urgent in the 1990's, were ignored. Now the child chronic illness epidemic, which we predicted would occur if our warnings were ignored is here. It is a sad commentary on the state of the public health that so many American children are so sick and there are still so many gaps in scientific knowledge about the ways that vaccines act in the human body to stimulate long term immunity or cause injury and death. The stubborn reluctance of government, industry and medicine to acknowledge the validity of reports by parents that children are getting sicker not healthier, despite using so many vaccines, may turn out to be the greatest medical scandal and human tragedy of the past century. The Persecution of Andrew Wakefield, M.D. In a few weeks, Andrew Wakefield, M.D., will be defending himself against charges of professional misconduct lodged against him by British physicians running the General Medical Council of England. At the heart of the matter is the medical establishment's fury at Dr. Wakefield for daring to publish an hypothesis in the Lancet in 1998 that provided clinical evidence for an association between MMR vaccine, intestinal bowel disease and autism. Subsequently, Dr. Wakefield suggested that some genetically vulnerable children might be unable to handle being injected with three live attenuated viral vaccines at once, pointing out that children rarely are simultaneously infected with wild type measles, mumps and rubella infections in nature. Andrew Wakefield has steadfastly resisted pressure from government, medicine and the pharmaceutical industry to halt his research into autistic enterocolitis and the possible links between childhood vaccinations, intestinal inflammation and autism. That refusal to stop investigating the potential biological mechanisms for vaccine-induced autistic enterocolitis has made him a target for those determined to make an example out of him. Like individuals who are persecuted for holding different ideological, religious or political beliefs from those in power, Dr. Wakefield is being persecuted for taking a scientific position that does not conform with the majority of those operating or profiting from the global mass vaccination system. It is sad to watch physicians devour one of their own out of ignorance, envy, greed and fear. The people of the world are witnessing this Great Inquisition. They will not forget the martyrdom of a physician, one of the brightest and best, who discovered a link between vaccination and regressive autism and did what he could to heal affected children and prevent others from suffering their fate. Many parents of vaccine injured children - regardless of which biological mechanism was involved in their children's vaccine-associated regression into autism - support the pioneering work of Andrew Wakefield and his right to pursue his scientific investigation without being persecuted. Mark Blaxill, co-founder of SAFEMINDS, said: "I'd like to urge you all to take a moment and to visit the petition site and sign the statement of support for Andy Wakefield. Andy has been a pioneer in autism treatment, leading the way in finding ways to diagnose our children's medical problems and to improve their health and development. Because he had the courage to question the established modalities of current public health programs (suggesting parents split the MMR vaccine and spread out its administration) and the safety of a combination vaccine (the MMR), he has been unfairly attacked, ruthlessly sanctioned, driven from his job and his home and declared a pariah by the scientific and medical establishment of the UK. Looking back on this episode, history will judge this reaction harshly. But in the meantime, things may get worse. Andy has been summoned to appear before the General Medical Council of England. There is a chance he will be struck from the medical register as punishment for his courageous actions. "I can think of no one who deserves such treatment less than Andy Wakefield. Indeed, Andy deserves praise and accolades for his work. He stands for a model of personal conduct to which other clinician/scientists should aspire. He treats his patients with compassion and their parents with respect. He listened to the families of autistic children when no one else did. He led rigorous scientific investigations into the nature of the gastrointestinal inflammation that so many of us have observed in our children. He made the scientific case for the biomedical approach to autism treatment when the field was only just emerging and needed the scientific rigor he brought to the work. He persevered in the face of obstacles that few other scientists would have endured. And he has done all of these things with unfailing good grace, an open and generous spirit and without rancor or bitterness." No donation is necessary when signing the petition, which originates and is being maintained in Britain. 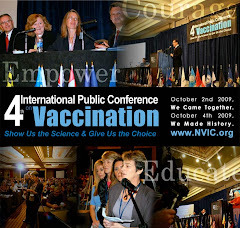 For more than two decades, the National Vaccine Information Center, co-founded in 1982 by parents of vaccine injured children, has advocated that a portion of the billions of taxpayer-supported research funds at NIH be used to fund methodologically sound scientific research into the biological mechanisms and high risk factors for vaccine-induced brain and immune system dysfunction. At no time is that research more needed than today, when millions of America's children are suffering with learning disabilities, attention deficit hyperactivity disorder (ADHD), autism, asthma, diabetes and other types of chronic illness and disability and the reports of regression following vaccination continue. Recent calls by physician leaders in the fields of pediatrics and public health, including the influential Institute of Medicine in 2004, to end all research into vaccine-associated regressive autism, are not only premature but extremely unwise. While reasonable men and women can disagree about various scientific hypotheses regarding the plausible biological mechanisms and genetic factors involved when children regress after vaccination, the most intelligent course of action that can be taken at this critical juncture is to refrain from closing the door on any of those hypotheses. It may well turn out that every one of them is a co-factor, depending upon the individual child and the vaccine(s) involved. The best way to find out why some children regress physically, mentally and emotionally after vaccination is for parents and physicians to keep an open mind about all possible reasons for the child's sudden health deterioration. If parents and physicians would become partners, rather than remain adversaries, in the search for answers to the most important public health question of our time, the answers would come much more quickly. It is important for all cases of regression and health deterioration following vaccination to be reported to the federal Vaccine Adverse Events Reporting System (VAERS) and to NVIC's Vaccine Reaction Registry . Families who speak out about what happened to their child following vaccination are helping to raise public awareness that will, eventually, lead to appropriate scientific inquiry. You can post a report with or without a photo about what happened to your child (or other family member) after vaccination on NVIC's International Memorial for Vaccine Victims. When ideology and politics dominate vaccine policymaking rather than evidence based science, it is not only dangerous but it is very expensive. In a March investigation of HPV vaccine costs for parents taking their young girls into private pediatricians offices in the Washington, D.C. area, NVIC found that parents could be charged anywhere from $525 to $930 for three GARDASIL shots depending upon whether the child was a first-time or current patient. Costs for the vaccine plus an administration fee ranged from $140 to $275 per shot with an additional office visit charge that fluctuated between $35 and $185, depending upon whether a nurse or doctor saw the child. Private insurance companies will have to raise insurance premiums for all their clients to reimburse for the high costs of GARDASIL. Vaccine costs are not only borne by Americans at the state level, where state taxes are used to fund mandatory vaccination programs, but also at the federal level, where federal taxes are used to fund massive vaccination programs, such as Vaccines for Children (VFC), to provide vaccines to children at little or no cost to families who cannot afford to pay a private doctor. Every time the CDC recommends a new vaccine for universal use in all children, the health care costs associated with that recommendation can be counted in the tens of millions and billions of dollars over time. The cost/benefit analysis for HPV vaccine does not hold up under scrutiny. As tragic as each individual death from cervical cancer is, there are many less expensive, more effective and safer ways to bring cervical cancer cases and deaths down, starting with making sure all sexually active girls and women are educated about HPV and undergo annual pap screening. Throwing a vaccine at a health problem is not the only answer.